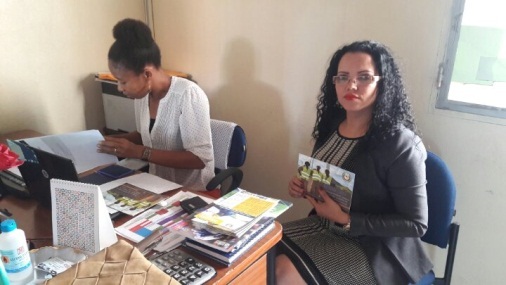 The ECOWAS Centre for Renewable Energy and Energy Efficiency (ECREEE), through the ECOWAS Programme on Gender Mainstreaming in Energy Access (ECOW-GEN), is producing a broadcast for a community radio in Cabo Verde to introduce the audience to the topic of gender and gender equality, especially as it concern energy access. The radio program, called “Gender in Focus”, provides useful definitions, facts and statistics about inequalities between men and women. It offers guidelines on how to meet the energy needs of both women and men farmers, engage them in community development projects, and provide additional support as needed. It also provides a checklist to ensure that community radio programs are mindful of both their male and female listeners (e.g. using gender sensitive words are encouraged). Finally, “Gender in Focus” encourages the promotion of the principles of gender equality and equity in every walk of life. Community radios are considered the voice of the “voiceless”. As engines for development they occupy a key position when it comes to ensuring that everyone has an opportunity to express their needs and concerns. But this can only happen if such radio stations take gender into account when preparing their programmes. If men and women are to play a role in local community development, including in addressing energy issues, it is crucial that they have equal access to relevant information and voice. ECOW-GEN is a regional programme that works to address barriers to the equal participation of women and men in expanding energy access in West Africa. The Programme works to ensure that women, as much as men, contribute to, and benefit from, development interventions carried out in countries of the region. By eliminating barriers to gender equality, ECOW-GEN is contributing towards increased access to modern, affordable, and reliable energy services, energy security and environmental sustainability.